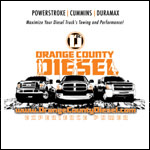 The BD Power 1032006 Steering Box Stabilizer 2009 Dodge 6.7L Cummins eliminates steering wander and wobble caused by excessive shaft play in the steering box of late-model Dodge trucks. Designed for easy, bolt-in installation in about an hour, the SBS virtually eliminates frame flex at the steering box mounting point, resulting in more positive steering feel. 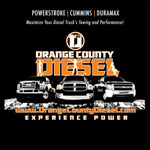 OC Diesel offers Professional BD Power BD-1032006 Installation.